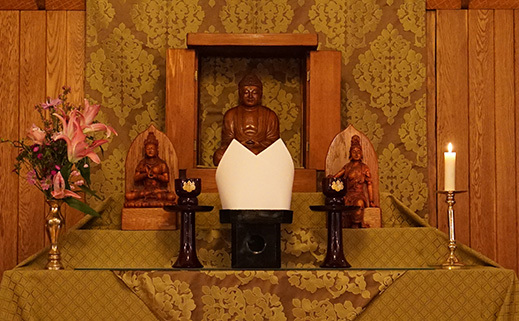 Traditionally, Rohatsu is the last day of a week-long sesshin, celebrating the Buddha’s enlightenment. Keeping with ZMM tradition, the last day of this session culminates on December 31st, with Shugen Roshi leading a fusatsu, (renewal of vows ceremony) to help us transition into the New Year. The evening will conclude with a midnight breakfast. In a Rohatsu Sesshin, each evening’s meditation period to be longer than the previous evening’s. We wake up each day before dawn to begin our schedule and add one period of zazen with each passing day. Characterized by the tremendous strength of people practicing together, this is an opportunity to experience the deep stillness that lies within each one of us. Rohatsu includes liturgy, formal silent meals in the zendo (oryoki), silent work practice, interviews with a teacher and talks by the teacher and senior students. Because this is an intensive retreat, those wishing to attend should first complete a full Sesshin. Participants must join by Friday, December 28.